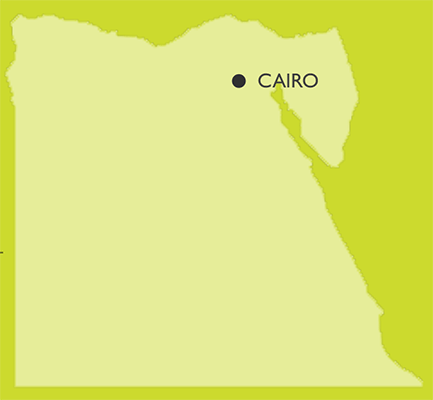 The SALASEL joint programme (the Programme) aimed to support pro-poor horticulture value chains in Upper Egypt with a view to improve their position in export and domestic markets. 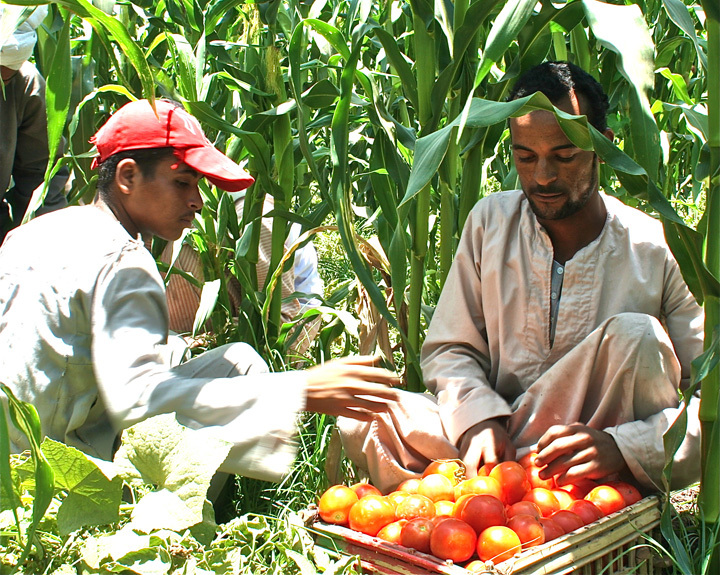 This was done by promoting equitable partnerships between small farmers and private sector investors in efficient pro-poor horticulture value chains in the poorest six Upper Egyptian Governorates, namely Beni Suef, Luxor, Sohag, Menya, Qena and Assiut. The Programme adopted a gender mainstreaming strategy that cut across all Programme areas, while focusing on raising awareness about gender-related issues and inequities, mobilizing women’s committees within farm associations and strengthening the capacities of women working in post-harvest centres. Agriculture has always been a key sector of the Egyptian economy in which women play an important role. At its beginning the Programme estimated that, agriculture and farming provided subsistence to 55 per cent of Egypt’s population and employed 30 per cent of the labour force. The 2012 World Development Report on Gender Equality and Development indicated that 46 per cent of Egypt’s female work force was employed in agriculture. Women performed agriculture and farming-related activities on family owned land as unpaid labour, as well as for non-family members, as paid workers. Women formed the majority (75 per cent) of the work force involved in harvesting, handling, sorting and packing processes within the post-harvest centres. In 2012, over 40 per cent of workers in agriculture or fisheries were women, yet they had little control over land or productive resources, even if they owned the assets. Women’s working conditions and the benefits received from their labour were neither commensurate with their role in the workplace nor with their household and community responsibilities. Additionally, increased male migration in search of employment reduced but did not eliminate traditional gender-based roles in rural areas. As a result, women and girls were at a disadvantage in both the public and private spheres. In Upper Egypt, where the Programme was rolled out, poverty was rising in both urban and rural areas. Urban and rural poverty both increased by almost 8 per cent between 2008-2009 and 2010-2011. In both cases, women were disproportionately affected. Women’s mobility, access to education, infrastructure, social and health services and control over resources was even more restricted than that of their male counterparts in the Delta or in urban governorates. The gender mainstreaming strategy developed in the Programme was based on the World Bank’s Gender Equity Model (GEM). GEM is a certification process for gender equity that promotes quality standards in key areas of industrial relations, such as selection and hiring processes, training policies, professional development, work-life balance and the prevention, handling, and follow-up of cases of sexual harassment. GEM involves a voluntary partnership between the government and the private sector. The government provides training and technical assistance to facilitate the implementation of GEM, while the company commits to implement specific changes based on the model guidelines2. Capacity development and awareness raising of female workers within the post-harvest centres. The Programme trained women’s committee members to advocate and implement interventions aimed at rural women’s economic empowerment as well as at reinforcing women’s presence in the public sphere. It also provided assistance in developing the structure of the women’s committees, formulating the criteria for the selection of candidates and supporting the FA’s electoral process to guarantee a participatory approach to community development. Furthermore, technical trainings covered topics such as post-harvest technologies, packaging, workplace safety and good hygiene practices, as well as self-esteem and time management. The gender equality message was introduced through info-graphics in a compressed form and in a culturally sensitive manner. Five-minute visuals accompanied the info-graphics, portraying women in roles that are unusual in the Egyptian context, such as taxi driver, car park attendant, mini bus driver, butcher and others. These visuals were also displayed in the post-harvest centres to raise awareness that women and men can do the same job equally well. The management of all six FAs participated in gender sensitization trainings. This made the FAs more inclusive and better positioned to reach out to women; female membership in the six FAs targeted by the Programme rose by almost 70 per cent. During the course of the Programme, six women’s committees were activated and five conducted elections, electing seven women per committee. Each women’s committee conducted a community needs assessment based on guidelines provided by the Programme and developed work plans to include priority actions addressing the specific needs of women in the respective communities. Furthermore, the re-activation of the women’s committees motivated its members to speak up on behalf of the workers in the post-harvest centres as well as for other women in the community. In Gaaffar, the women’s committee launched an advocacy campaign to install water pipes. In Beni Suef, the women’s committee succeeded in lobbying local authorities and mobilizing community stakeholders to resolve the problem of garbage accumulated in front of houses and schools. In Qena, the women’s committee formalized the status of 30 female and 15 male workers in the post-harvest centres. Preliminary findings at the close of the Programme indicated that technical trainings had increased the women’s productivity and led to the adoption of hygienic handling and packaging practices, which meant a safer work environment. Participation in women’s committees elevated the status of women in the community; they felt that they were “the voices of women” in their communities, and accordingly felt responsible for meeting the expectations of the women they represented. The reactions of male participants were also largely positive. While early results were positive, meaningful change is a long-term process that will require sustained efforts to address the root causes and the structural consequences of inequality. The international economic downturn slowed Egypt’s GDP growth to 4.5 per cent in 2009, predominately affecting export-oriented sectors including manufacturing and tourism. Unemployment continued to rise and was a major catalyst for the uprising of January 25, 2011. Rising inflation, in combination with the devaluation of the Egyptian Pound against the US Dollar, increased farmers’ income risk, as many agricultural inputs are imported. During the two decades prior led to the uprising of January 25, 2011, the Egyptian government actively implemented an economic reform programme resulting in a 5 per cent average annual growth in GDP over the period. However, this economic gain largely failed to improve economic conditions for broader segments of the population. Unemployment and underemployment, in combination with demands for greater political freedom and an end to corruption, lead to the uprising of January 25, 2011. While this brought expectations for positive political reform over the long term, political uncertainty adversely affected Programme implementation and constrained the movement of staff in rural areas. During this period, work with the government on crucial issues, such as legislative reform, was severely limited. 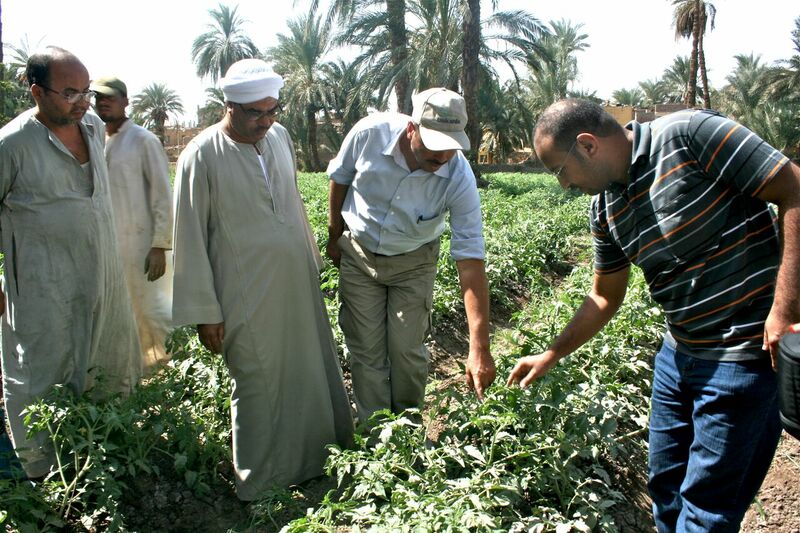 Despite these limitations, at the lower level of government, such as agriculture directorates in Upper Egypt, Programme staff was able to network and forge strong relationships that resulted in a number of successful joint activities. The Programme had to overcome perceptions of a lack of credibility in international donor interventions, which existed because of previous negative experiences in the agricultural sector in Upper Egypt. At the time of Programme initiation, the Ministry of Agriculture was not a partner. This resulted in the Ministry’s local personnel being reluctant to work with the Programme extension officers. At the close of the Programme, none of the FAs had yet allocated resources to the women’s committees, mainly due to the precarious condition of the economy. The success of the gender mainstreaming strategy developed in the Programme depended mainly on the social and the economic benefits brought to the enterprises where the strategy was being implemented. This was critical to the willingness of the enterprises to dedicate time and resources to participate in the trainings and to effect the necessary changes to ensure gender equality in their procedures and operations. In the case of post-harvest centres, the motivating factor was the economic return accrued from training women in agro industrial processes. The Programme had to adapt the mainstreaming strategies to varying literacy levels between men and women, given the deeply rooted male dominated culture of Upper Egypt, to ensure successful results. Visuals were much more effective in conveying messages than lectures, which required an attention span that was difficult for participants to sustain for an extended period of time. The Programme’s design was multi-layered and the cooperation of the four collaborating UN agencies (UNDP, UNIDO, ILO, and UN WOMEN) required an integrated effort drawing upon the expertise and experience of each of the agencies. The establishment of a Programme Management Committee and Project Management Unit, the implementation of initial team-building efforts, and the location of field offices within the communities they served were all key facets of the Programme design. This allowed for an efficient flow of information and knowledge through the various levels of the Programme, ensured informed decision-making, improved the effectiveness of interventions, and would underpin the eventual sustainability of the Programme. The physical proximity of the field offices to beneficiaries and on-the-ground implementation of activities was a cornerstone of Programme strategy. The flow of information from beneficiaries and field staff to the PMU in Cairo and then on to implementing agencies and governmental counterparts proved invaluable to the success of the Programme. Under the right circumstances, with political will and a measure of economic stability, the gender mainstreaming aspects of the Programme have the potential for replication and scaling up in both urban and rural settings. While the tools developed and tested in the Programme were works in progress, the approach could inform government efforts at motivating the private sector to play a stronger role in integrating women into the economy. Addressing both men and women and confronting the persistence of discriminatory practices in the public and private spheres as a community issue were Programme highlights, and the lessons learned will be useful in future programming.